Clean Drains Help You Keep Your Plumbing Running Smoothly, and Keep Your Home Safe From Mold And Mildew Growing In The Drains! The drains that are found throughout your home have important jobs to do: remove water and waste from the home and deposit it into the sewer system or the septic tank. If any of the drains in your home becomes clogged it can lead to quite the problem. You might experience a backup of water or waste on the floor of your bathroom or kitchen. If the drain is clogged you won’t be able to use the appliance or fixture that is associated with it, further reducing the amount of workable rooms in the home. Furthermore, if you leave a clogged drain alone, it can wind up costing you thousands of dollars in repairs. Make sure you hire a plumber in Dallas, TX to clean the drains of your home before it’s too late. Most homes have more than one bathroom, unless we are talking about a small apartment or condominium. When you have more than one drain you have double or triple the chances of running into a clog. A bathroom, if it is full bath, will have multiple drains. There will be a drain for the sink, the shower or tub, and maybe even the washing machine. Some homes are now featuring larger bathrooms that house the washer and dryer. The drains in the bathroom are used multiple times per day by everyone in the home. It isn’t just water that is going down these drains either. There will likely be hair, soap, toothpaste and body care products that will find their way down the drains of the bathroom. If one of the drains in your bathroom becomes clogged it can put a cramp in the schedule of everyone in the home. A drain solution from the big-box home improvement stores won’t work. You need a reputable and experienced plumber to clean your clogged drains. The drain in your kitchen sink can be problematic, even if you have a garbage disposal that is working properly. The disposal will only do as much as it can to remove food and other scum from building up in the drain. You have to do the rest in terms of monitoring the drain and making sure that if a clog is developing it is handled as soon as possible to avoid further issues. Just about anything can cause your kitchen sink drain to clog, including grease, oil, food, fat and other items. There are plenty of home remedies you can utilize to try and open up the clog but none of them are as effective as calling a Dallas, TX plumber. A plumber will be able to snake the drain, remove the drain, and clean it out thoroughly so that you can put it back in service. Kitchen sink drains are the most commonly used drains in the home due to the activity in the room. 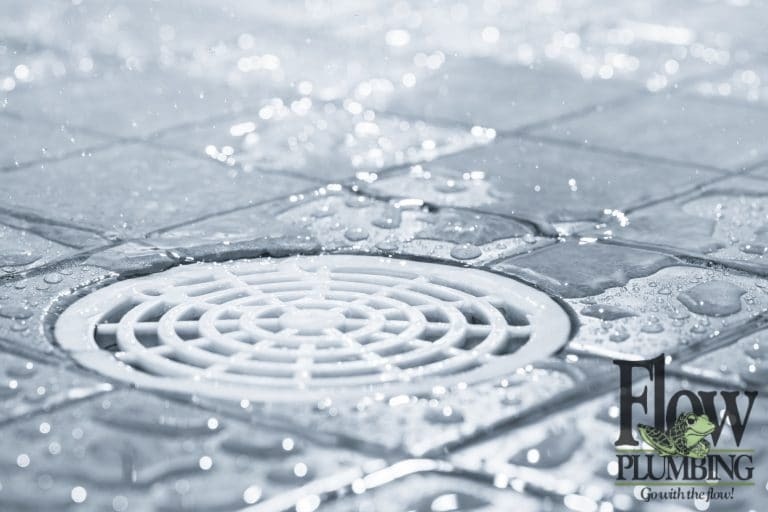 These drains are so highly susceptible to clogging because of the high usage and the items that wind up in them, such as debris from food and oil. That’s why, even if you have a garbage disposal, you should avoid putting as much food as possible down the drain. A clog might not happen overnight, which is why you need to watch how the water flows from the sink down the drain as often as possible. Drains in your bathrooms and kitchen aren’t the only ones that can suffer a clog and cause backups in the home. There are outside drains that can get clogged, causing thousands of dollars in needed repairs. One example of an outdoor drain is the sewer line for your home. If the sewer line becomes clogged and it isn’t fixed, it could wind up leading to sewage backing up into your tubs, showers, toilets and sinks inside your home. If the gutters on your home haven’t been cleaned in a while they might be clogged with leaves, grass, branches and other debris. If the water is not pushed away from your home it will likely travel to the closest pipe underground near your home. If this is the case, the water can cause a lot of damage to the sewer line. Are you dealing with a clog in your shower, tub, sink or other drain in your home? It’s time to call in an experienced plumber in the Dallas, TX, area to have your drains cleaned thoroughly so that you don’t have to spend thousands of dollars in repairs. Call the experienced team at Flow Plumbing today at 214-388-8838 to schedule your service appointment.